and other facilities catering for tourists, including luxury apartments and services available in English. 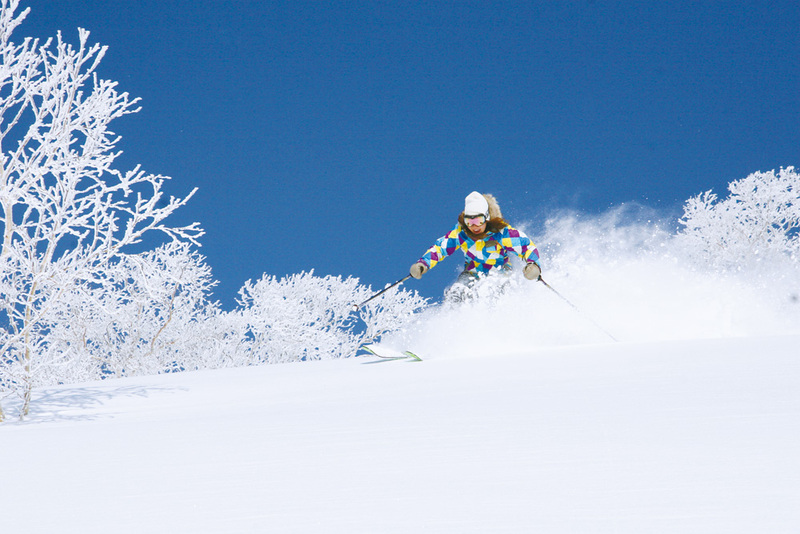 The Niseko Grand Hirafu Ski Resort is geared for all the needs of overseas skiers, including equipment rental, convenience stores and a pub, as well as ski lessons and tours in English. The Niseko Village Ski Resort is a luxurious four season resort with sweeping panoramas of the dormant volcano, Mount Yotei. The various slopes even have memorable names such as “Cruiser” and “Pure Magic” attached to them. Niseko An’nupuri, which includes the smaller ski area of Hanazono, has 13 mostly wide runs aimed at beginners, and is open from December until May. Other: Park facilities include waves, banks and rails. Other: Park facilities include tables, kickers and rails. Other: Park facilities include snow tubing. Shimanami Kaido is a scenic road weaving its way between the Shikoku and Honshu islands of Japan. In recent times it has become popular amongst Japanese and foreign visitors who attempt to cycle along its 70km route. Part of the reason for its popularity is that most people of reasonable fitness can complete this route, which is lined with beautiful trees that change color each season. When riding over the many bridges, you can become one with the wind and the sea. The Seto Inland Sea in Japan is surrounded by the three large islands of Honshu, Shikoku, and Kyushu. The Shimanami Kaido scenic road crosses over six islands on its way from Honshu to Shikoku, namely Mukaishima, Innoshima, Ikuchijima, Omishima, Hakatajima and Oshima. Onomichi at the northern end of the route is in Hiroshima Prefecture, famous for its “Atomic Bomb Dome”. The southern end is in Ehime Prefecture, which is famous for “Dogo Onsen”, one of the best hot springs in Japan. One of the highlights is the scenic view of the bridge. These spots are easy to find due to the many cyclists who park their bikes and admire the views. The beautiful blue sky offsets the lush mountains, which are in red and yellow hues depending on the season. There are also roads that run through mountains and pass by many a country house, providing a glimpse into what village life is like. I have met many kindly folk who have encouraged me with a friendly wave, a smile, and by urging me to take care and do my best. into two days. On the way, take the time to try the gelato made with local ingredients or pick some mandarin oranges. If you wish to make the most of the majestic scenery, I recommend that you go from north to south. I’m amazed by the sense of accomplishment as I ascend the hill leading to the bridge and then finally cross it, enjoying the breathtaking and magnificent views of the sea and mountains. Then, as I descended, I felt the sea breezes all around me. When people think about travelling in Japan, many immediately think of the major landmarks in Tokyo, Osaka, Kyoto, and Hiroshima. Next time, why not stretch your legs a little and try the Shimanami Kaido by bike? Everyone can enjoy it, including families and couples. 1. 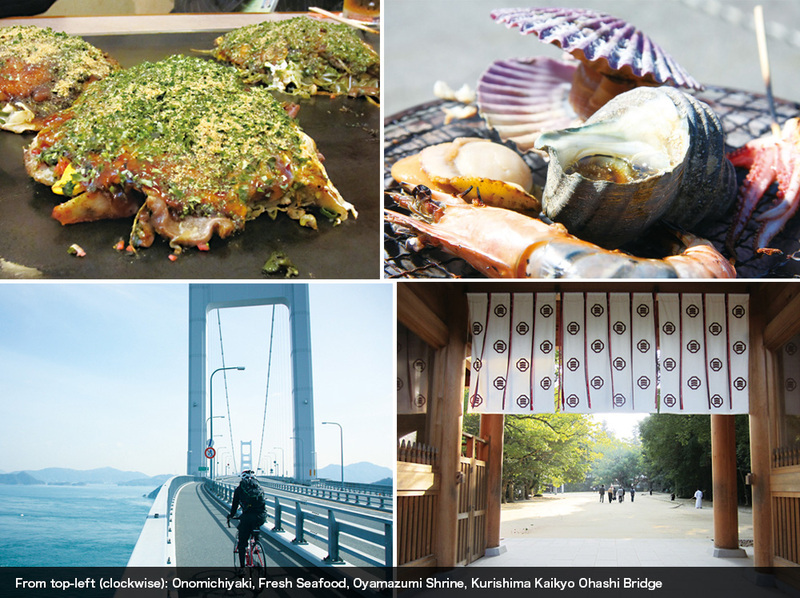 The Cities of Onomichi and Imabari mark the starting point of your trip. They are easily accessed by train with Japan Railways serving both cities. The tourist information centre is also nearby. 2. If you plan to cross all the bridges, remember to carry 500 yen for the tolls. For a limited time, the “Cycling Shimanami” coupon is available for 250 yen. In addition to the tolls, it comes with the discount vouchers for local products and facilities. This coupon is sold at the bicycle terminals in Onomichi and Imabari, the Onomichi station tourist office, and selected convenience stores and hotels. Besides only paying half price for the tolls, there are other benefits. 4. There are inns along the Shimanami route, so it would be good to stay somewhere on the first day. If you are not sure where to book, ask the travel information centre for advice. 5. If you aren’t used to cycling long distances, you are likely to get a sore bottom at the end of the day. To prepare for this eventuality, get some special cycling pants with extra padding or get a padded saddle cover. You can get either from a bike shop. 1. Small Buddhist statues at Jikouji temple. 2. Paths for bicycles and motorcycles. 3. The famous gelato store called “Dolce”. Mandarin and salt flavours are recommended. 4. Kousanji temple. 5. Mandarins can be gathered at farms along the sea route. 6. The romantic sunset beach. 7. Clap your hands in the vicinity of the main shaft of Tatara Ohashi and the sound echoes 8. Offerings of sake barrels at Oyamazumi Shrine. 9. Mikan candy which was bought at a rest facility along the sea route called “roadside station”. 10. Taking a rest at Hakata-Oshima Bridge. 11. A beautiful rose garden. 12. Fresh seafood roasted over a charcoal fire can be eaten at the Yoshiumi-Ikikikan rest facility. 13. The swirling ocean tide. 14. 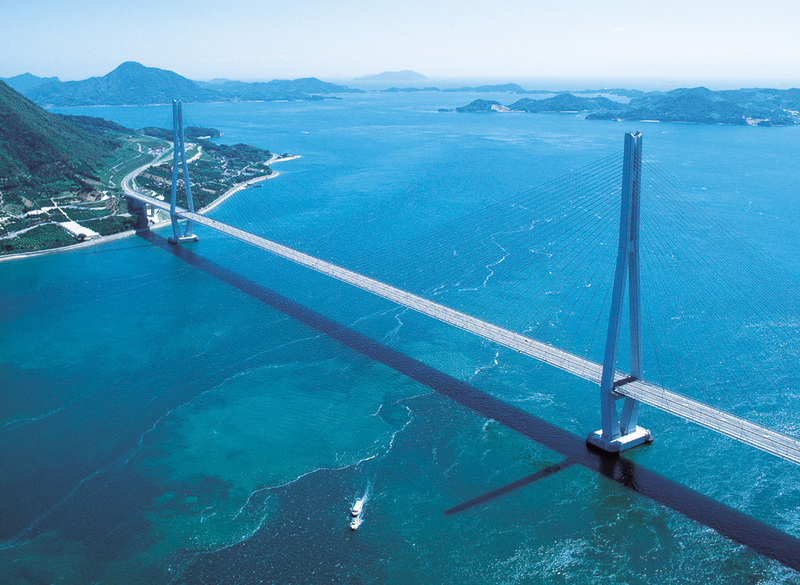 The longest bridge within the sea route is the Kurushima channel bridge. 15. Imabari Castle in Imabari City.